Are you looking for the best spearfishing wetsuit? Are you confused about what to look for? This article will help you find a wetsuit that is well suited for your needs. So what are the basic functions of a good wetsuit? The perfect suit for snorkeling, scuba diving, free diving, and spearfishing will make sure you stay warm (but not too warm) and sit close to your body, keeping your shape streamlined (but without being too tight and hindering breathing and movement). In the event of strong sunlight, a wetsuit also protects against sunburn. If you are looking for a full body wetsuit, there are generally three types. 1) A two piece wetsuite. The two piece suit with integral hood. This type of wetsuit is often used for spearfishing and will be discussed further in this article. A one pice suit without a hood, inspired by sports like triathlon, surfing, and swimming (before these kinds of suits were banned in swimming). 3) The scuba diving wetsuit. The above does not matter if the water is very warm and the suit is thin, but when the water is cold or you are doing a competitive free diving event, this doesn’t work. Wetsuits for scuba diving will not be discussed further in this article. If you are going to use the wetsuit for spearfishing, you definitely want to choose a two piece wetsuit. Both types of wetsuits are produced in neoprene and have a thickness between 1.5 and 10mm (0,06 inch – 0,4 inch). I will be discussing the wetsuit for spearfishing in more depth below. Should I get a standard size or custom fit? One of the major advantages of the two piece suit is that it is possible to get it custom made. 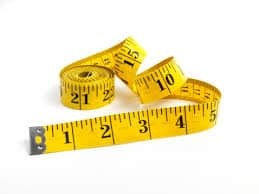 You will often do this by filling out a questionnaire where you give 10-20 body measurements, which form the basis for the size of the suit. Often you will have a broad variety of neoprene materials to choose from, and it can be a science to choose the right thickness and neoprene type. shoot the manufacturer an email where you explain your needs and for what purpose you intend to use the wetsuit. One of the disadvantages of buying a custom wetsuit is the wait. It will oftentimes take about five to six weeks before you get your wetsuit. 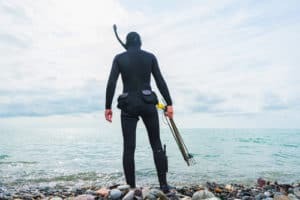 If you are a beginner and just want to see if spearfishing could be a sport for you, you will oftentimes be fine with a standard size wetsuit. Very few people who have tried a custom size wetsuit go back to the standard sizes. Also the price difference between a custom suit and a standard one is often not that great. So what thickness should I choose? For spearfishing, you must adjust the thickness of your wetsuit with respect to the temperature of the water. When you are spearfishing, you will often be in the water for a couple of hours and therefore it’s a good idea to have a wetsuit that is warm (not too warm, though). In addition, the temperature of the water will differ from when you are lying on the surface to when you are diving to harpoon a fish. Depending on how deep you dive, the difference will be greater. In the following, I will talk about the two piece wetsuits. 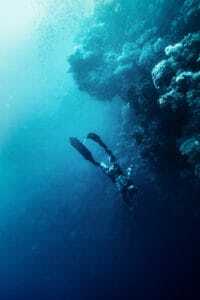 For underwater hunting, the suit should be either 7 mm or 5 mm; 3 mm will only be for very warm water. A 7 mm (0,3 inch) suit is virtually a year round suit for most places with a water temperature between 4 to 20 degrees (39F – 68F). What do I do if the water is colder than 4 degrees Celsius? In the months when the water is colder than 4 degrees (39F), you can wear a ½-1mm (0,02 – 0,04 inch) inner vest or simply take shorter dives. What do I do if the water is above 20 degrees centius? On the days where the water is warmer than 20 degrees (68F) , you may put slightly cooler water into the suit to keep your body from overheating. A suit with a thickness of 5 mm (0,2 inch) will operate fine when the water temperature is between 10-26 degrees (10-79F). If you don’t expect to be in the water that long (up to an hour), a 5mm (0,2 inch) suit can also be your year round choice. A 3 mm (0,12 inch) spearfishing suit is good for when the water is above 26 degrees (79F). Can I combine different thicknesses in one suit? It is also possible to combine different thicknesses into one suit. That is also one of the advantages of choosing a two pice wetsuit. Typically, you would have a thinner layer on the lower body and the thickest layer on the upper body, partly because of balance and distribution of buoyancy. But mostly because the upper body is the most temperature sensitive. It is a jungle out there ☺. There are hundreds of different material combinations to choose from. For a wetsuit of about 5 mm to 7 mm (0,2-0,3 inch), I will recommend that new divers have nylon on the outside and raw neoprene on the inside (with a coating, if possible). Nylon on the outside of your wetsuit prevents it from breaking if, for example, you need to enter the water from a beach with many rocks or you need to climb up the side of a boat. Wetsuits without nylon fabric on the outside (called smooth skin) are very fragile, and it is not rare to tear them to pieces just by taking them on and off. If you are about to buy your first suit, you should choose the most robust; namely, nylon on the outside. What wetsuit material should an experienced speardiver choose? 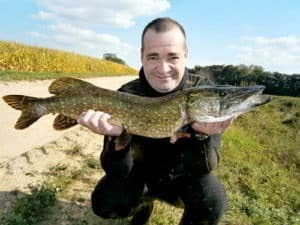 If you are a more experienced spearfisher and have developed a good technique for getting your suit on and off (it can be a hard struggle for the first several times), then a suit with smooth skin may be for you. A smooth skin wetsuit is more supple, warmer, and it dries in no time. In addition, it slides better through the water. Fabric for the inside of your wetsuit? Coating on the inside of the suit makes it easier to get in and out of it. This will extend the life of the wetsuit and I always recommend it. 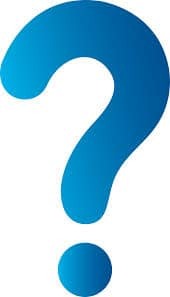 Neoprene – what type should I choose? When it comes to types of neoprene, the softest and warmest materials are also the ones that are the most vulnerable and have the shortest lifespan. Yamamoto 45 is a good example of this type of neoprene. Another type of neoprene, Heiwa (Heiwa medium density), is more resilient. It will not get pressured as much together as, for example, the Yamamoto 45 on a deep dive. This makes the Heiwa neoprene is better for keeping your body warm over time. Your first suit should not be fragile. If it is, you will destroy it all too easily, even in normal use. A good choise of neopren is therefore the Heiwa. It’s not something you think about when you buy a wetsuit, but I would not recommend that you buy a long john suit. What is a long john suit? You can see a picture of long johns to the right. Long johns are basically pants with suspenders. When you have a jacket above them, it makes it virtually impossible to take them off. A long john suit will be warmer than a high waisted suit (as it has more neoprene), but it is also very cumbersome in many ways. Especially when “nature calls,” which it very often does when you have been spearfishing for some hours. With a high waist suit, all you need to do is flip the neoprene aside (still keeping the wetsuit on). A long john suit requires you to take off the entire wetsuit. What if I want a long john suit because it is warmer? If you must choose a long john suit, you definitely need to get a pissette installed. A pissette is neoprene tube you can use “when nature calls” (as a man). This means you do not have to take the long john suit off. Unfortunately, there is yet to be found a good solution for the girls. It can be really hard to get into a custom made wetsuit (the point of a custom suit is to have it fit as close as possible). How do I get my wetsuit on? By using water (if possible with a little soap), it will become much easier for you to get into your custom fit wetsuit…. be sure to put the soapy water all over the inside of the suit. Close the openings of the wetsuit and shake the water around. Afterwords you can put a little water into the arms, legs, shoulders, and hips. The pants of your wetsuit are the easiest part to get on. Be aware that you do not drill your fingers into the suit. If it’s a little fragile, you risk putting your fingers through the neoprene. The jacket is the most difficult to get on. Start with your head. Then one arm through and then the other. To get your wetsuit to fit well, you can breathe a little air into the sleeves. This will smooth out the ringlets in the neoprene and the suit will be distributed more evenly around your body. If you have used a lot of water with soap to get your wetsuit on, I would recommend that you rinse it with water as soon as possible; otherwise, it can be very hard for the skin. They are warmer because of their integrated cap. They can be purchased in either custom or standard fit. The best two piece suits are cheaper than the best one piece suits. There are many options to choose from in regards to material, colors, and thickness.